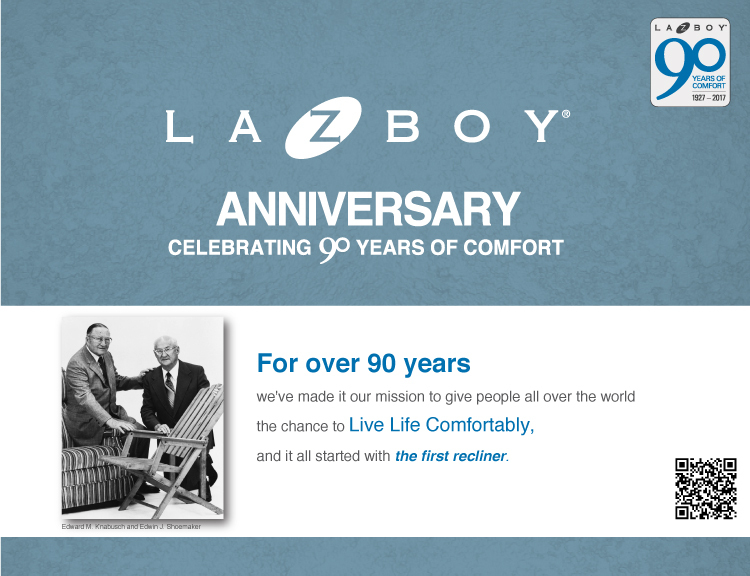 Leather is 50% stronger than other upholster y and could have a useful life of 15 – 20 years. Leather "breathes" so it stays cool in the summer and warm in the winter. Strong enough to resist tearing, even along the seam lines, leather has natural oils that prevent cracking, flaking, tearing or peeling. Leather is very flexible, so it will retain its shape and look new for years. Plus, unlike fabric, it acquires a natural patina and becomes softer with age. Each leather hide is finished with special dyes to create a deep, rich color that will remain beautiful throughout the life of the leather. Leather simply requires a mild dusting or wiping to keep it looking good. IMAGINE THE POSSIBILITIES with a rainbow of colorful options and distinctive grains and textures. 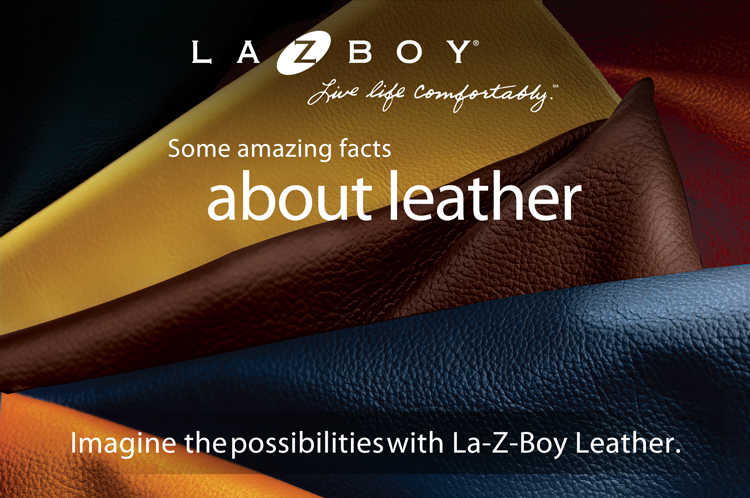 From vibrant reds and not-so-mellow yellows to warm chestnut hues, our custom leathers are an inspiring collection of colors and finishes that can be custom ordered on any La-Z-Boy frame available with a leather option. Tough enough for everyday life, these premium leathers are crafted to withstand the challenges of homes with small children and pets. Ideal for people who prefer a smoother, more consistent appearance, Performance leathers have a protective coating which keeps it looking great for many years to come. GENUINE LEATHER. EVERYDAY VALUE. From timeless traditional to sleek contemporary, our Harmony and Signature Leathe Collection combines stylish frames with some of our most popular leather colors and textures. Choose from sofas, sectionals, occasional chairs and more, and enjoy the beauty of leather at a price you’ll find equally attractive. These premium leathers are one-of-a-kind creations for people who appreciate rare, natural beauty and unique character. Variations in color, grain and visible markings, including wrinkles and scars, give each hide its own distinct look. Luxuriously soft and supple to the touch, Authentic leathers have not been altered ensuring that each hide has a distinctive look all its own.